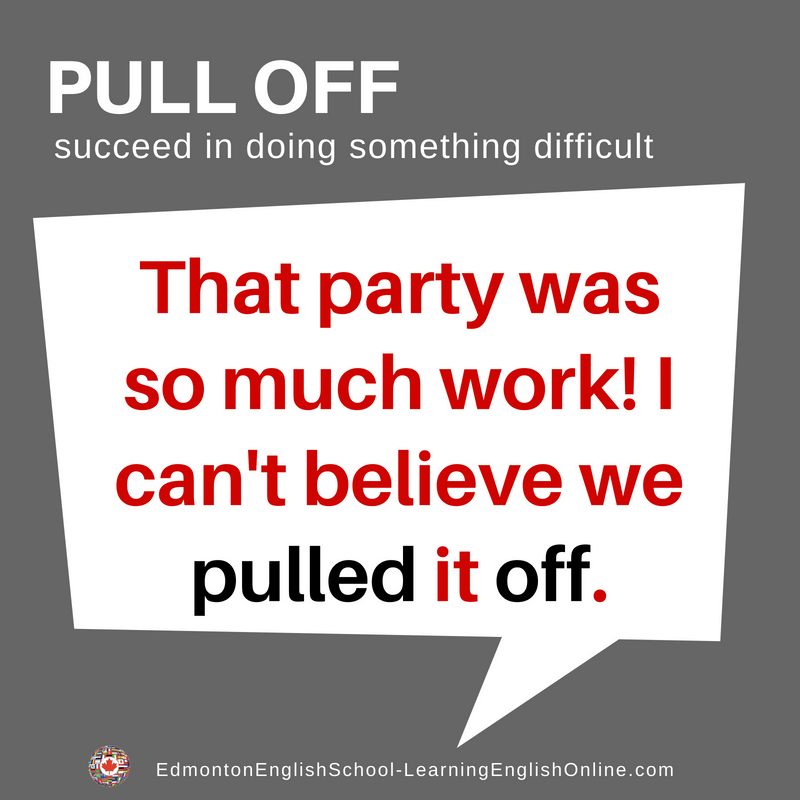 What is the Meaning of PULL OFF? 1. We had only 24 hours to plan an amazing birthday party, and we did it! I can hardly believe we pulled it off! 2. It looks like a very challenging task, but if you believe you can pull it off, I think you should try. It will be incredibly rewarding if you succeed. 3. You are the only person I know who could have pulled that off! I can’t believe they agreed to lend you the money for your idea!